Love food? Love pork, beef or lamb? 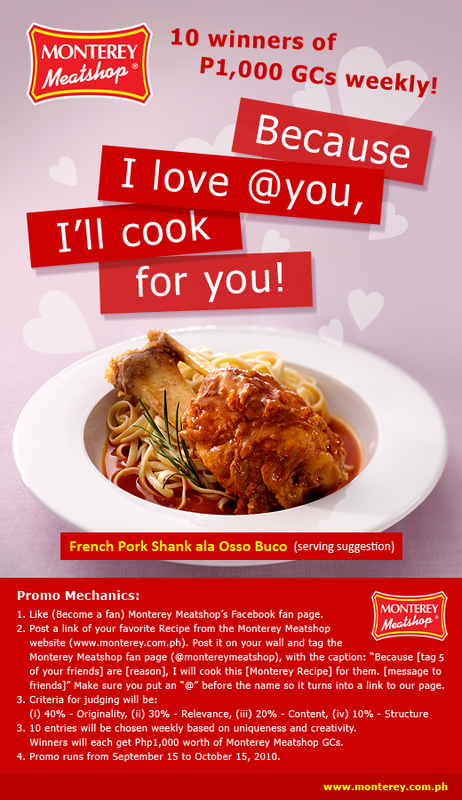 Then join the Monterey food loving promo. Check out the details below. You need to join the Monterey Meath Shop Facebook page to be able to join the promo.